The Rhode Island STEAM Now Coalition is a broad alliance of 300+ individuals from education, industry, and government who work together to build capacity for science, technology, engineering, arts+design, mathematics (STEAM) in the state. 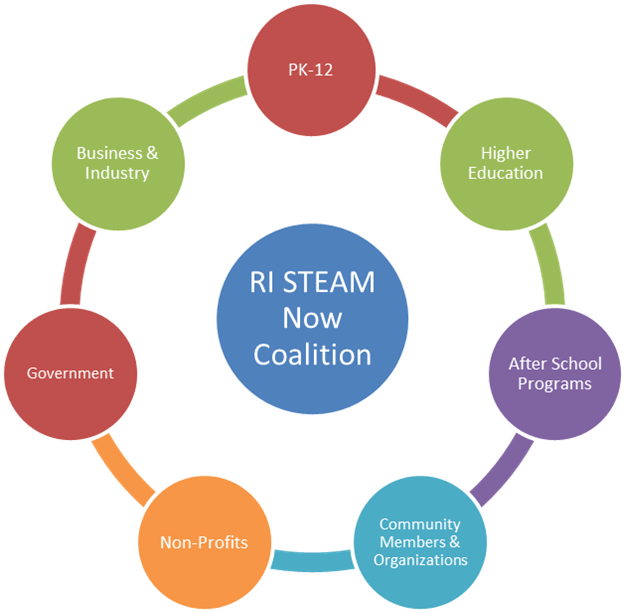 Formed in May 2014 and coordinated by the Rhode Island STEAM Center, the Rhode Island STEAM Now Coalition includes representatives from PK-12, higher education, business and industry, after school programs, community-based groups, non-profit organizations, funding agencies, and government offices. 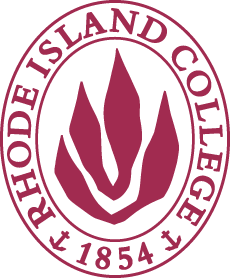 To develop a STEAM literate population in Rhode Island who will possess the skills to become productive citizens in the 21st century and who will have the capacity to contribute and invigorate the Rhode Island economy. Increase STEAM literacy for all students regardless of career paths.